Moosey Moose is but one awesome title in a series called Thingy Things. I'm sad to say I believe they are no longer in print but you can still find them used through Amazon and other sellers. 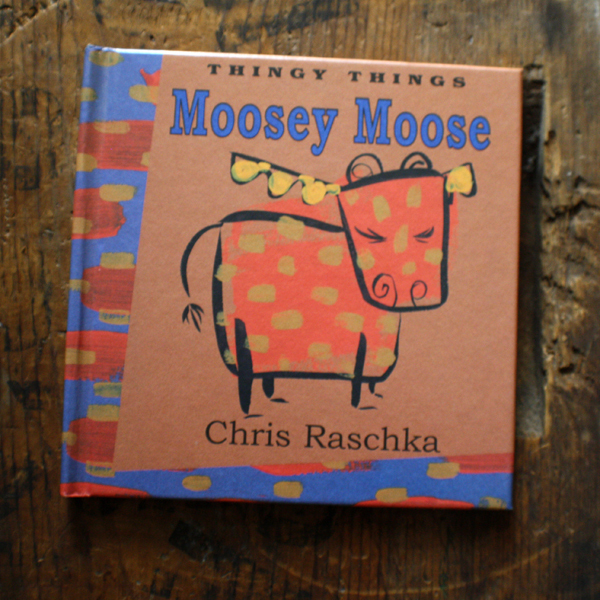 I picked Moosey Moose to share with you because every single time I read it to kids, young and old, I am delighted by the giggles and shouts that float about as I help Moosey Moose sort out his anger over his missing long pants. After you read Moosey Moose, you can have your kiddo write out their own story about a favorite animal and what makes them angry. Do you have a Catty Cat, Fishy Fish or a Ducky Duck? Oh, the possibilities!